Custom car and truck builders love the simple style of a smooth steel wheel. 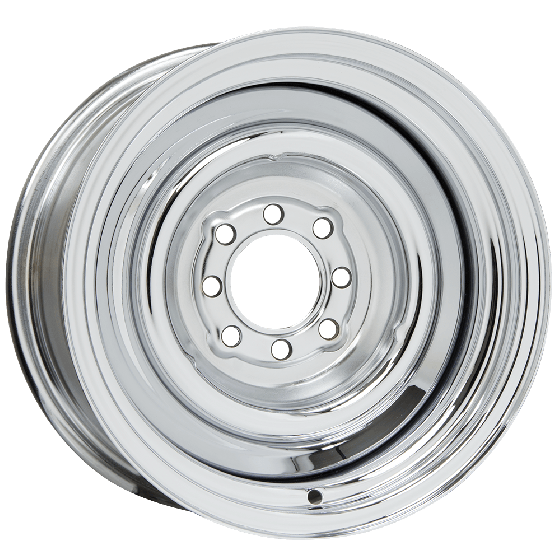 Our Steel Smoothie wheels are also available in 15- through 18-inch sizes in many popular single and multi bolt patterns. The Smoothie wheel is made in the USA and accept a wide variety of optional caps (accessories sold separately). The wheels ships with a quality ready-to-paint primer finish. 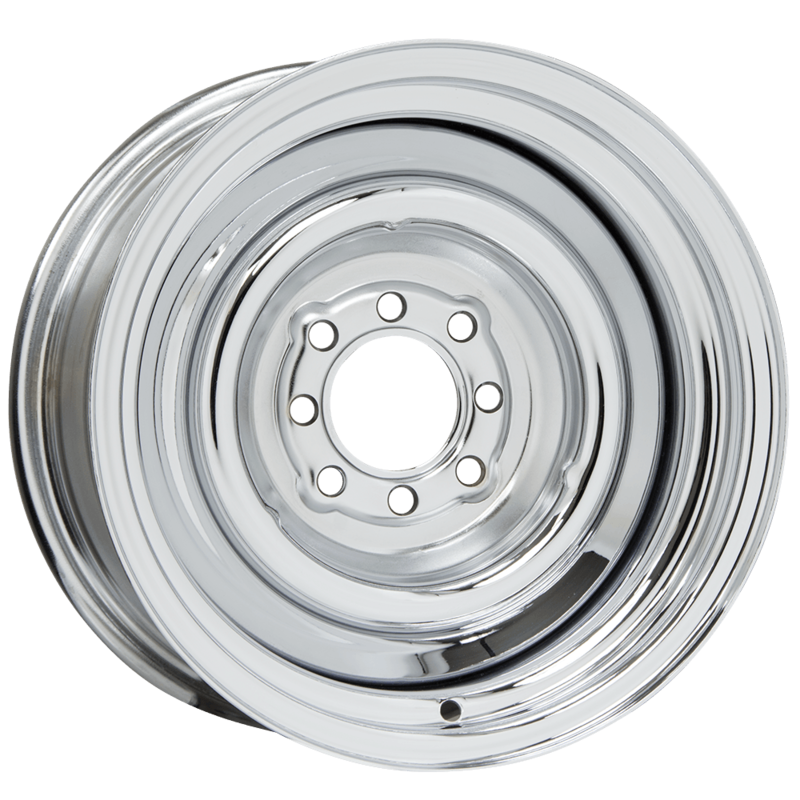 These popular wheels are also available in chrome outer/primer center and full bright show quality chrome finish.